In 2013 Twitter was floated on the stock exchange and prices initially soared in a frenzied reaction. However Twitters expected rapid user growth never materialised and caused prices to fall sharply. To satisfy their shareholders, Twitter needed to monetise their platform in the form of Pay Per Click advertising. However initial results have been disappointing and Twitter needed exposure to wider audience to attract new users. 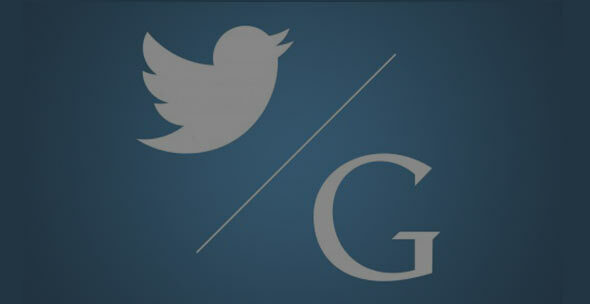 In February this year Twitter and Google announced a new strategic partnership. Going into partnership with the world’s largest search engine is a logical step for Twitter as it will give them access to potential new users. For Google their search results will be enhanced by real time rich content. How will the Twitter-Google partnership impact on your business? The main aim of this deal is to display tweets in Google’s search results. For businesses the emphasis on creating real time content will now be greater than ever and brands will benefit from using Twitter as a marketing platform. Tweets will now have the ability to appear in real time in Google search results and users who want to access this content are not required to have followed that particular brand. The implications for brands & businesses is exposure to wider demographic profiles and will help increase the acquisition of new followers. Since Google’s major overhaul of their search engine algorithm in 2013, Social Media has been utilised to create content to help with ranking websites. A partnership with a platform that produces constant real time content will have major benefits and implications for websites. Using focused keywords, driving relevant traffic and constant interaction with your Social Media content will create signals that will boost your businesses SEO ranking. Its worth noting that Google’s latest algorithm change focuses on the user experience and ranks content based on relevancy. Therefore when using Twitter as part of your marketing strategy, focus on creating relevant and engaging content that creates a positive user experience which will impact on your SEO ranking. Digital Marketing platforms are constantly changing and there is a constant search for new ways to create positive brand experiences. For all businesses operating in this space it’s crucial that we analyse emerging trends and adapt to these changes where applicable. At T2 will be watching and analysing this partnership closely. In addition we will examine how these changes can be applied to our clients advantage. For more information on how T2 can grow your business online contact us at [email protected] or 059 9182329.